Can we interest you in a French-ified brunch? 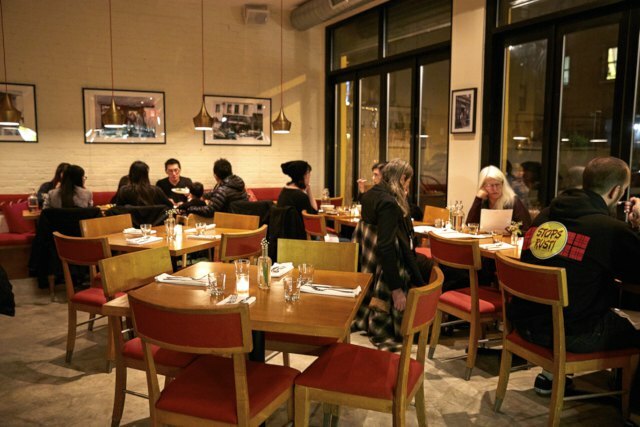 In another episode of the Bushwick Brunch Diaries, Le Garage, the Paris-Bushwick bistro at Suydam St. and Central Ave., will begin serving brunch starting this weekend. Chef Catherine Allswang has devised a menu of her brunch favorites straight from la capitale de la France. 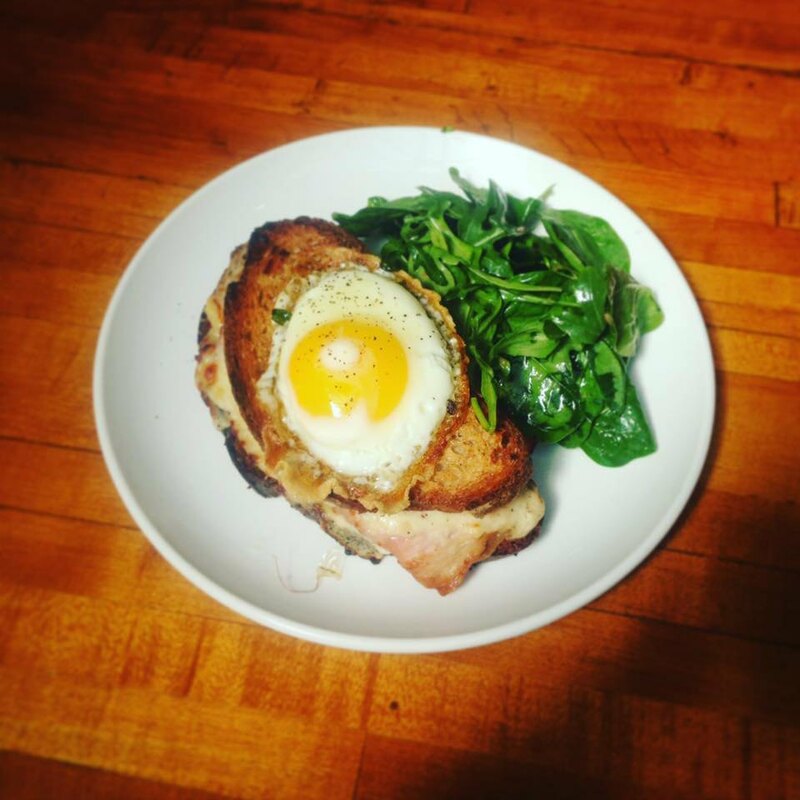 The menu includes a well-rounded list of French staples like Croque Monsieur - ham, gruyere and béchamel on toasted country bread (It's a Croque Madame if you order it with an egg on top) and Pain Perdue - Parisian-style French toast, literally translating to "lost bread." Catherine tops hers with roasted pineapple. Additional highlights include the Chorizo Egg - grilled chorizo and a poached egg atop rostie (basically a French hashbrown), topped with flamingo sauce, which sounds exotic and something we'd definitely order. For the adventurous brunch eater, the Pork Cheek Sandwich will surely satisfy. On the cocktail front, you'll find standards like Mimosas and Bloody Marys ("Tito's vodka, tomato juice, cornichon juice and so much more..."), though we'd go for the house original, cleverly-titled Morning After which is made with Campari and grapefruit. We can't wait to try le brunch at Le Garage! Le Garage Brunch, Saturdays and Sundays 11 am to 4 pm. 157 Suydam St. at Central Ave., Bushwick.